Organic fruits and vegetables should also be the base of your diet not only for their fiber but also for their liver-cleansing abilities and antioxidants, minerals, vitamins, and more. Many nutritionists tout bananas for not irritating the stomach, along with moderate amounts of apples. Be careful about tomatoes and peppers since they tend to be inflammatory. Some people report painful joints or, more often, upset stomachs. Asparagus, onions, and lentils, on the other hand, contain prebiotics, on which probiotics feed to multiply in the gut. Water is essential for digestion, and when we don’t get enough of it, things start to slow down in the intestines. Herbs and spices like ginger and turmeric are great for calming upset stomachs. Peppermint is great for both your breath and your digestion. Organic yogurt from grass-fed, pasture-raised cows contains considerable amounts of probiotics. Kefir is another good source. Sauerkraut, nattoh, and other raw, cultured vegetables are great sources of helpful enzymes and bacteria. Oregano oil can be used as a powerful digestive aid. Learn more about oregano oil benefits. Spicy foods may trigger acid reflux in some people. Caffeine is inflammatory, contributes to acne in some people, and relaxes the esophageal sphincter, increasing the potential for food that went down to come back up. Soda is a repeated offender of numerous unhealthy conditions thanks to their GMO ingredients and high sugar (or high fructose corn syrup) content. 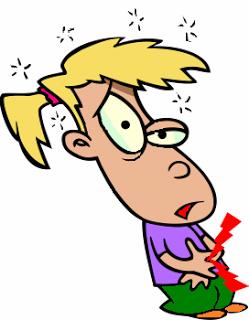 Acidic drinks like sodas can also trigger reflux. Alcohol can trigger unpleasant acid reflux and trigger inflammation in the stomach. Dairy can induce bloating even if you’re not lactose intolerant. Moderate amounts of yogurt, however, seem to work to the contrary.